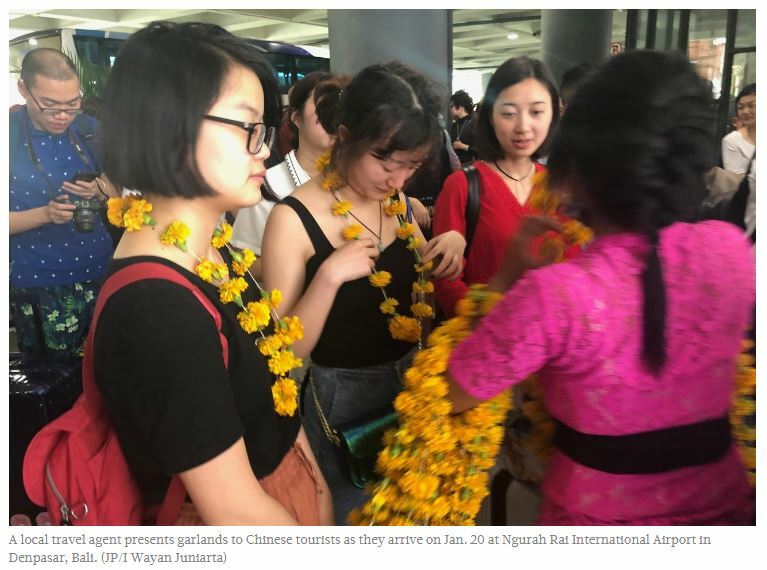 Bank Indonesia has said that� foreign� consumer payment applications, like China’s� Alipay and WeChat that� Chinese tourists reportedly used� in Bali, are not approved for local use. The central bank said� the applications did not comply with regulations, in particular because they did not have a cooperation with local payment systems. BI payment system policy executive director Onny Widjanarko said in Jakarta on Thursday that all foreign payment applications, including Alipay and WeChat, were required to comply with Indonesian regulations. “Any payment system should be adjusted to existing regulations,” he said. Onny said foreign payment applications must meet two requirements� to be approved for conducting transactions in Indonesia:� establish cooperation with a local switching company and be connected to major Indonesian banks. “So far we have found two cases.� [The foreign payment apps] have� cooperated with local switching companies, but they are neither connected to nor are cooperating� with Book 4 [major]� banks,” Onny said as quoted by� kompas.com. He also stressed that all transactions in the country were required to use the� rupiah. He said BI had halted any transactions made through foreign payment apps� that did not have a cooperation with local� companies.